Publisher Rowman & Littlefield Publishers, Inc. 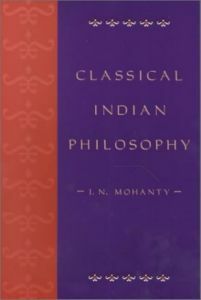 Renowned philosopher J. N. Mohanty examines the range of Indian philosophy from the Sutra period through the 17th century Navya Nyaya. Instead of concentrating on the different systems, he focuses on the major concepts and problems dealt with in Indian philosophy. The book includes discussions of Indian ethics and social philosophy, as well as of Indian law and aesthetics. Visit our website for sample chapters!